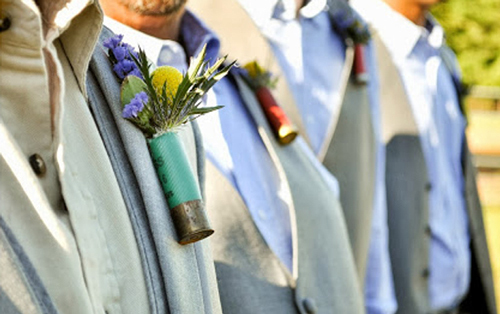 Home Inspiration	Father’s Day Special – Boutonniere Styles for Men! Happy Father’s Day! To celebrate, I am dedicating this weekend of blog posts to the Men in your life! 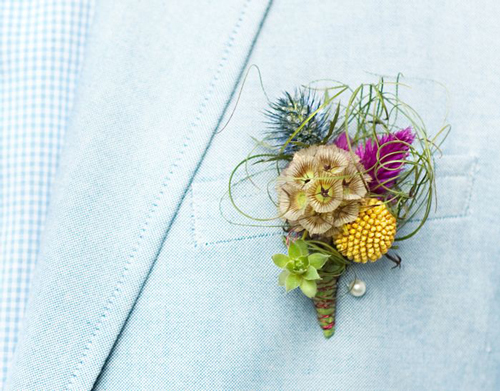 Yesterday, I showed you how to dress your man in style with the help of Bonobos and today, I am going to share some of my favorite Boutonnieres of all time! 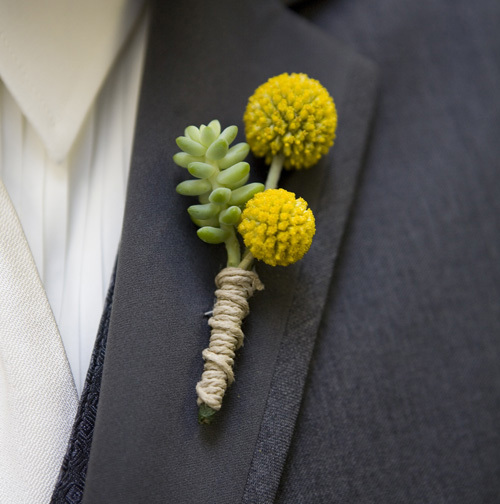 Billy Balls, a cool Succulent and Twine…What’s not to Love?! 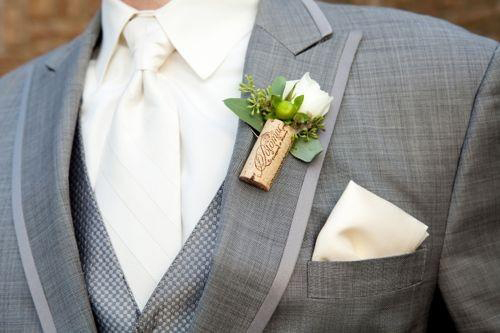 This Bout., from one of our DIY Brides, is one of my all time favorites! 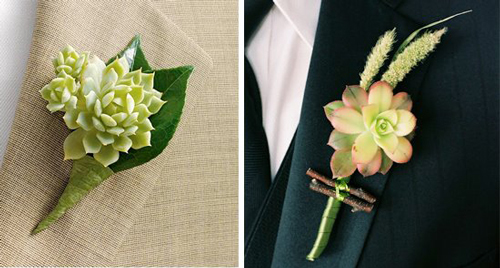 In fact, anything with succulents will do! They can be paired with anything or left alone, plus, they come in so many unique and cool varieties…you can’t go wrong! 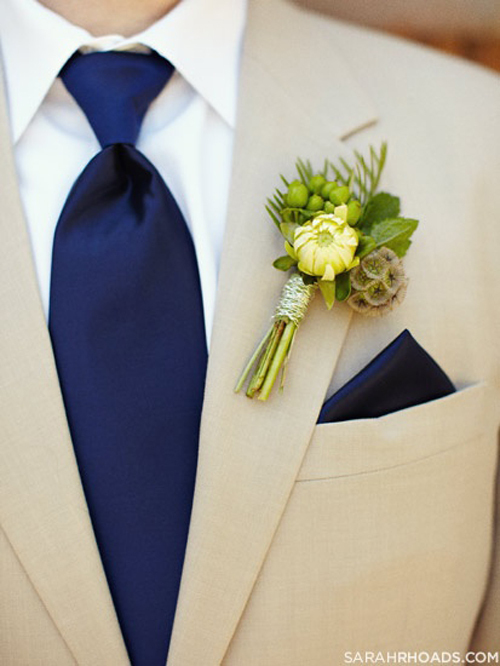 I just love an all greens boutonniere…and this is another one of my all time favs. 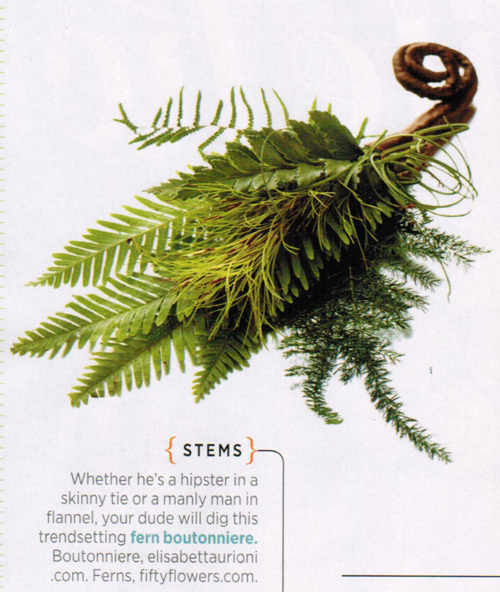 This bout was featured in Brides magazine and consists of ferns from FiftyFlowers.com! 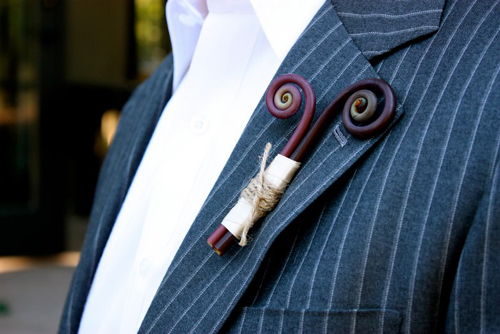 Modern, Rustic, Unique, Whimsical…who knew two curls of Fiddlehead could be so versatile! 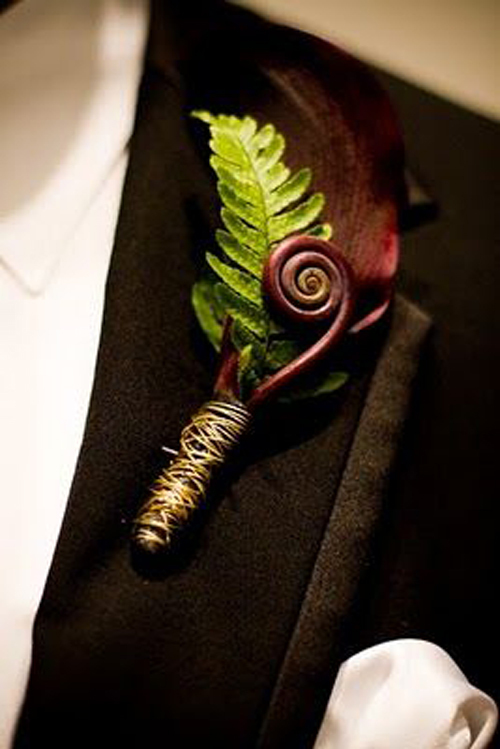 Fiddlehead can also work well with others…Love this Fiddlehead curl paired with a sleek burgundy calla and a fresh green fern. TEXTURE!! This whole thing just works and I LOVE it! Check out the Breakdown Here! If you want an awesome and interesting bout., just add buds, pods, or berries…or all three! 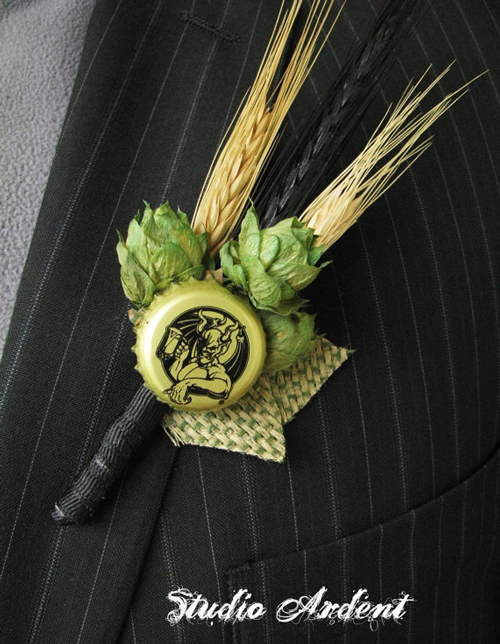 Hops, Wheat and a Bottle Cap…perfect for any Man who loves his brew! Hope you enjoyed some of my favorite Bouts! Happy Father’s Day! Featured FiftyFlowers Review: Everyone LOVED our Flowers!